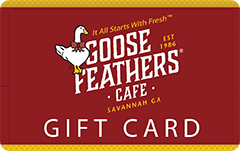 Once you’ve been goosed you want to tell the world! 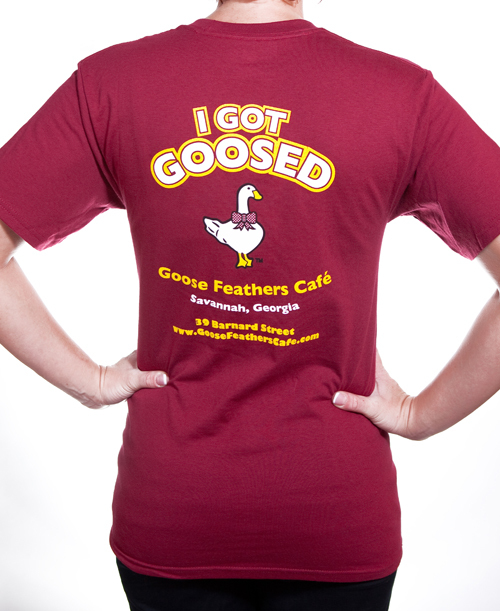 So show your Goose Feathers Café pride in the Café’s fun “I Got Goosed” t-shirt. 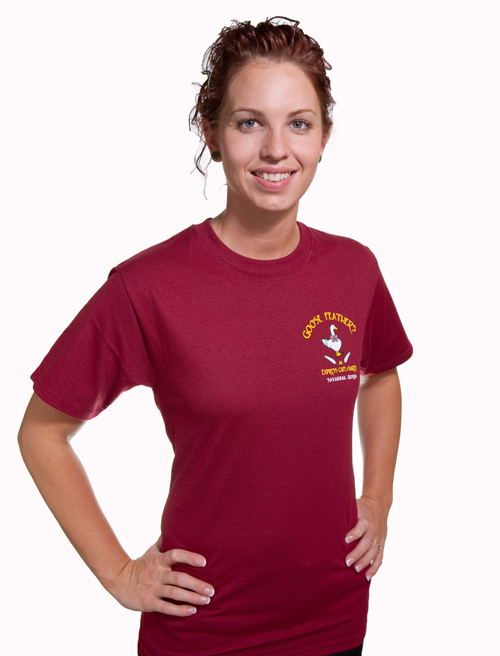 They are made of heavyweight cotton and available in S, M, L, and XL sizes.